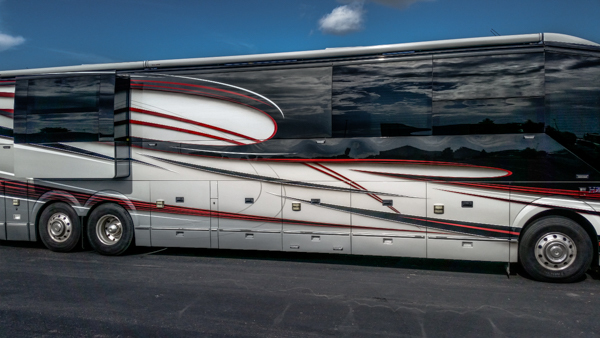 While parked overnight at Cabela’s in Mitchell, SD we spot a motor home that passed us along I-90 in South Dakota. This vehicle is memorable because it has writing all over it. We roam over to it perplexed by its decorations. As we stare in confusion, the owner opens the door and offers us a huge Sharpie. 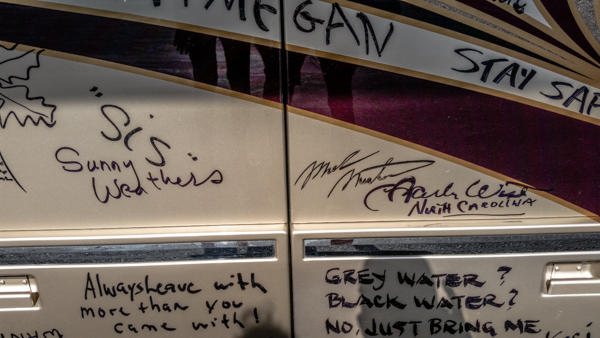 He encourages us to sign his rig. We accept (who wouldn’t?). 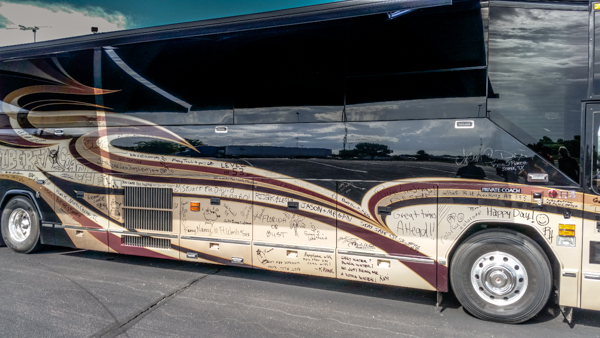 The story he relates is that he is taking this coach to Sturgis and collecting signatures along the way. After Sturgis, he plans to return home and repaint the whole rig. 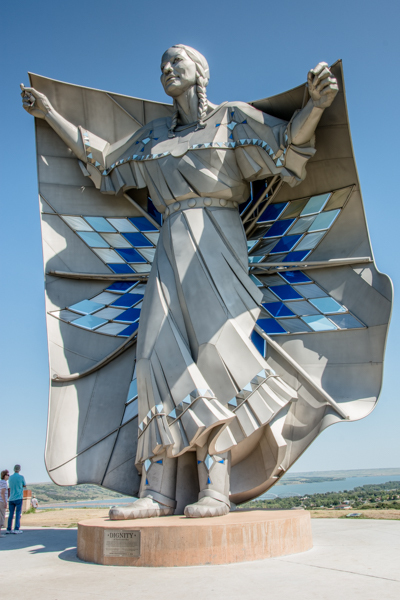 He estimates that the paint job will require 2000 man hours of labor. Examples of his work are traveling with him and judging from their paint jobs, he is quite artistic! 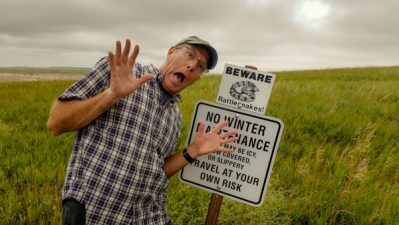 Our journey continues across I-90 through South Dakota. We stop at the Chamberlain, SD rest stop. Located here is an educational Lewis and Clark exhibit as well as a huge statue that has been installed since we last passed this way. 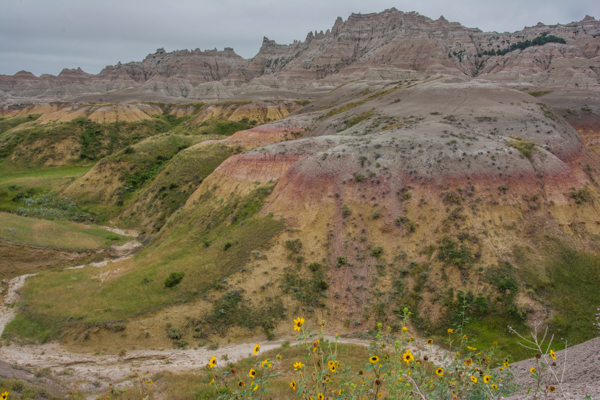 Several short paths to overlooks make this a good place to stretch our legs. 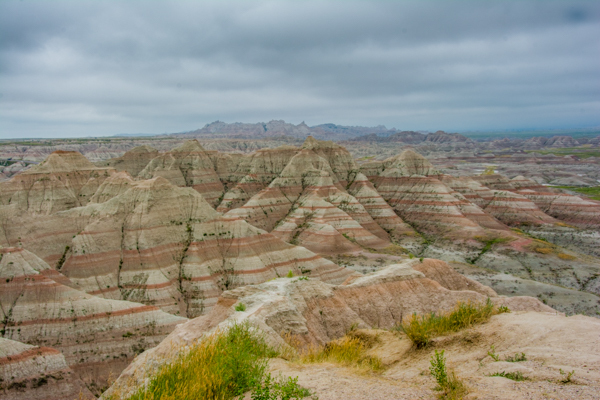 Our overnight stay in the tourist trap of Wall, SD allows us just enough time to make the loop through Badlands National Park before checking out of the RV park. 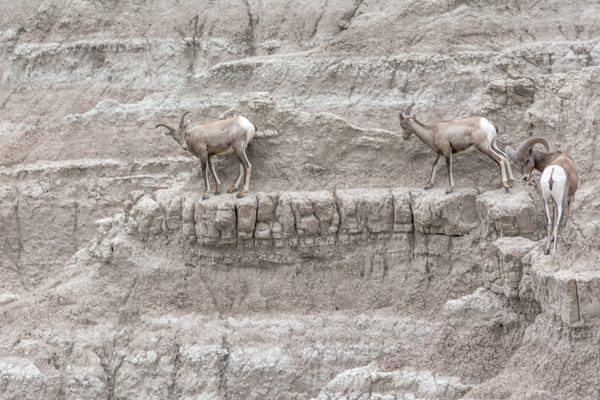 The cloudy skies today seem to coax out the colors and wildlife of this park. 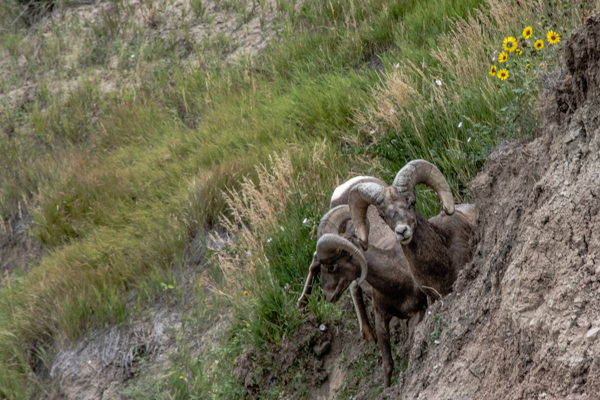 Big Horn Sheep cling to the sides of the ravines and demonstrate their ability to scale steep slopes. “I would rather be able to appreciate things I cannot have, than to have things I am not able to appreciate.